If I was someone else, I’d simply post a flashy photograph and tell you that our daughter placed at a local dance competition. Announce that she’s as happy as a lark, and we’re as proud as punch. However, to the best of my knowledge, dance isn’t an executive summary, and I wouldn’t want you to miss out on the full performance. I promise that we won’t quite be going back to when she entered into the world, but now that she’s about to get her first pointe shoes, she seems like such a baby when I bought her very first pair of ballet shoes. Once upon a time, I took our three almost four year old daughter to a local ballet class. *-The door shut, and I wasn’t invited to follow her into this secret world of ballet business.Of course, I longed to peek through a metaphorical keyhole. However, we were the parents, not the teacher. It was our job to enjoy the performance, and not get tangled up in the technicalities. After all, no one one gets to join the caterpillar inside the chrysalis and Superman never invited anyone inside his phone booth. Rather, we had the luxury of witnessing pure magic as our butterfly fluttered across stage, without any consideration of the caterpillar at all. Fast-forward eight years, and all of these stepping stones culminated in two dazzling solos where our daughter commanded the stage of our local school hall for a dance competition. At least, as far as her proud Mum was concerned, she could’ve been dancing anywhere in the world. Of course, entering in such competitions is stressful, and I’m not even referring to the performer. As Chauffeur in Chief of the Tutu Taxi, it’s my job to get her there early. More than that, I need all the skills of an accomplished event manager with none of the supportive infrastructure. Juggling hair, makeup and costumes dropping or forgetting something is almost inevitable and who wants to be the weakest link? Lists upon lists which never quite seem to get written down, circulate round and round inside my head, although I swear a page or two actually goes missing now and then. Then, as the child takes to the stage, even if they’re absolutely incredible…perhaps it’s just me, but horrors of her falling off the edge of the stage haunt me like demons. I want to wrap her up in her blanket again, and keep her safe. After all, just how high can the butterfly soar before she crashes? As proud as we are of our dancers, I’m sure there’s not a parent in the room who isn’t perched on the edge of their chair longing for the music to stop, and the performance to end without catastrophe. We can enjoy it later when we rewind it in the safety of our dreams. Well, to be honest, I might’ve catastrophized things just a little. Rather, I absolutely loved her performance. First, there was her ballet solo where she almost floated across the stage with the lightness of a cloud. I’ve seen this solo a few times now. So, while I still remember the stunned amazement and absolute pleasure the first time I saw it, I was really looking forward to seeing her contemporary solo for the first time. This would be the grand unveiling. I had no idea what it was going to be like, and had only seen the costume. Suddenly, there she was up on stage and after a hiccup with the music, she was off. I’d never seen anything quite like it. This was her solo choreographed especially for her and her dance was something like a moving portrait which her teacher had uncovered an aspect of her inner self and set it to music. She danced like I’ve never seen her dance before. I was spellbound. She placed second in her ballet solo and third in her contemporary, even though it actually received a higher mark. She also received a Highly Commended for her ballet improvization. Of course, you can say prizes and awards don’t matter. That it’s the experience that counts. Yet, you try telling that to her ginormous beaming smile. I don’t think I’ve ever seen her look so happy. While I haven’t actually grilled her what winning those trophies meant to her, I didn’t have to. She absolutely loves dancing and is working really hard to improve, and is possibly even considering a career in dance. So, these placings acknowledge that. They make that world of dreams edge a little closer and become more concrete. They don’t say give up your day job, and throw out your school books. Yet, they’re a huge encouragement. Encouragement isn’t something to be sneered at either. It’s a life-changer. Lastly, I’just like to emphasize that our experience of dancing so far has been nothing like the appalling behaviour you see on Dance Moms on so many, many levels. While I would’ve thought dance mums would be into all the glamour etc, my experience has been quite different. Indeed, speaking for myself, I’m usually so focused on getting my daughter sorted out, that I have no time or money left to get my own hair cut and the rest is a rush job as well. Our daughter also has a brother who is keenly pursuing sailing. So, there’s not much time or energy for fiddling with my fingernails. All the parents at our dance school support each other and the teachers and the students are an enormous encouragement for each other. We are very blessed. I know other dancers don’t have this experience. Have you danced yourself? Or, perhaps you have a little dancer in your life? I’d love to hear from you in the comments. This entry was posted in dancing, music, Parenting, Photography, Poetry and tagged ballet, dance, Dance Moms, dance studio, dancing, daughter, mom, mum, music, teacher on July 21, 2018 by Rowena. You wouldn’t believe how difficult it’s been for me to plant a few seeds. That’s because these are no ordinary seeds. These sunflower seeds were grown in Australian Quarantine from the seeds brought back from the MH17 crash site in the Ukraine. You’ll no doubt recall MH17 was the Malaysian airlines flight, which was shot down over the Ukraine on the 17 July, 2014. 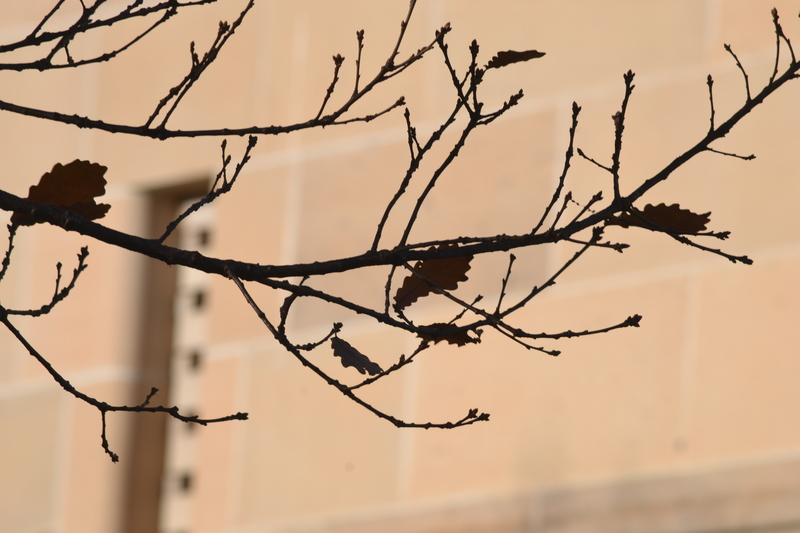 Therefore, these seeds represent each precious individual whose life was tragically cut short through terrorism and war. More than that. They strangely represent hope. Hope that their legacy will gone on. A reminder that love conquers the grave and they won’t be forgotten. Faith that the goodness in people will triumph over the bad. Personally, these seeds have come to have additional meaning about sowing goodness into our young people, especially the battlers, and helping them to grow up straight and tall on the inside. Many of the Australians who died on board were teachers. Teaching isn’t just a job, it’s a vocation. It means having vision and seeing the sunflower blooming in each and every child…even before the seed has been planted. Ideally, that faith continues through the storms.That can be and usually is a very challenging, but also rewarding, thing. The Maslin Family, who lost their three children in the crash, started a fundraiser in their memory for children with dyslexia. Their youngest son,Otis, had dyslexia and treatment is long term and expensive and so is diagnosis. Putting all of these people together, the sunflowers for me came to mean giving kids who are struggling to read and learn that helping hand to do their best. Reading might always be difficult for them, but even if you can simply give someone the capacity to read, fill out forms and read the day to day stuff, it would change their world completely. It would set them free in ways those of us without dyslexia have never considered. For some reason, this has become very important to me. It’s become my heart. Not because I’m a writer and I live, breath and devour words, but also because I know what it’s like to be on struggle street, not knowing if you’re ever going to get out. Although quite different to dyslexia, I was born with hydrocephalus which went undiagnosed until I was 25. At that point, my neurological symptoms spiralled dangerously out of control. I couldn’t put my finger on my nose, was falling over a lot, forgetting the basics and getting the sequencing of basic tasks out of whack in a way that was almost funny if it wasn’t so disturbing. This increased pressure on my brain obviously wasn’t good. Yet, I was lucky. I had surgery and had a shunt put in. Over time, most of my symptoms have eased and if it wasn’t for the auto-immune disease, I’d be back on my feet. There is no surgery or quick fix to cure dyslexia and other learning difficulties. I guess that’s what I like about what the sunflowers represent. That you plant a small seed yet from that tiny thing, big, bright happy sunflowers grow…yippee!! On Sunday, a year after receiving the sunflowers, we planted 12 seeds in a seed planter and we had a little ceremony out on the back lawn, using an upside down laundry basket as a table. We had our stunning red climbing rose in full bloom as a backdrop. Nothing symbolises love more than a red rose other than a human heart. I was too anxious to plant the seeds last year. Actually, this wasn’t anxiety but more of a reality check. That’s because I am a serial plant killer and our front yard is currently littered with dead bodies following my most recent splurge. I always vow to change but my track record speaks for itself. Mind you, sowing the seeds is only the beginning. Seeds don’t magically turn into sunflowers overnight. 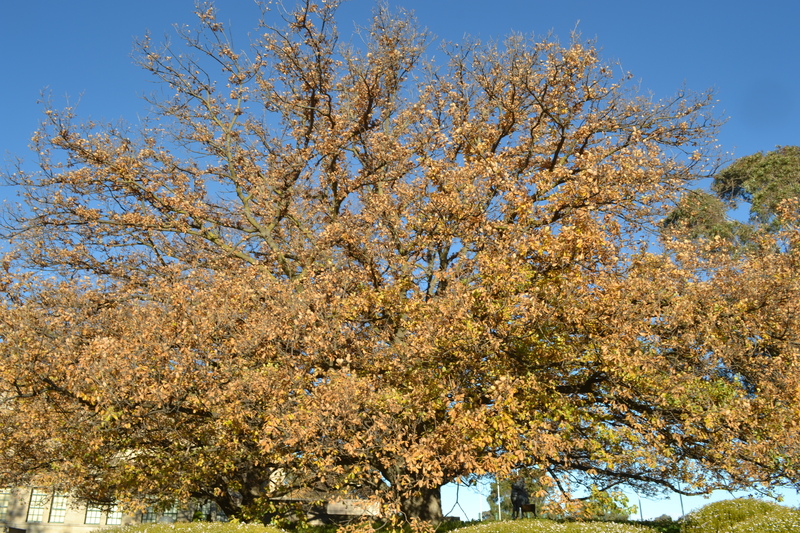 They require tender, loving care and that correct balance of wet and dry soil, sun and shade and exposure to the elements yet protection as well. My husband found the sunflower seeds inside the other day and said: “they’re meant to be sunflowers, not cave flowers”. Initially watering the seeds in the kitchen sink. Overdid it a bit. So, now I’m watering them with the spray bottle morning and night and have covered them with a sheet of plastic creating a mini greenhouse and am leaving them out in the sun by day. It’s only been four days so far. So, still too soon to see any shoots poking their heads through the soil but I’m doing my absolute best to help them along. BTW if you would like to find out more about the Mo, Evie & Otis Foundation or donate, please click here: Maslins Set Up Dyslexia Fund. This entry was posted in Compassion, Love and tagged death, dyslexia, flowers, forgiveness, gardening, grief, MH17, seeds, sunflowers, teacher, teaching on October 19, 2016 by Rowena. Violin…At last! You Make My Heart Sing! A few weeks ago, I was starting to wonder whether I’d be playing air-violin at Sunday’s violin concert. My fingers just couldn’t move fast enough and it’s been so hard to keep up the practice, that it’s felt like some kind of conspiracy. That someone or something doesn’t want me to practice and keeps sabotaging my best efforts. Of course, we’ve all been there and know that familiar poltergeist! Well, finally after considerable soul-searching as you do at the end of another year, my violin and I are talking again and our lover’s tiff is over.My violin might not be singing like a lark but it’s no longer a cockatoo and as long as I simply blend in with the group, I’ll be happy. When it comes to the difficulties of mastering and even taming the violin, I’m hardly unique. The violin is notoriously difficult and renowned for sounding like a scolded cat. Indeed, it more than deserves its bad reputation and I have no idea how it could ever sound sweet and intensely beautiful let alone spiritual. I guess like so many things, you have to go through the rough before you can reach the green. Moreover, I’ve also realised that a new level of thinking was required. That mastering anything requires more than blind persistence and not giving up. That you also need to know why you took this thing up in the first place AND why you want to keep going. This goal setting and introspection becomes particularly important once you hit the higher grades and “your thing” becomes more difficult and more demanding. You’re no longer a dabbler. Yet, you’re not a maestro either. Indeed, you’re along way from it. Moreover, as your expertise increases, so does your awareness of the treacherous mountains which lie ahead if you’re to advance. These next steps take all those nasty qualities like perseverance, persistence, focus, long hours of practice and potentially spending buckets of money as well. Mister smiling during practice tonight. He looked so happy. He has been learning the guitar but we did a few lessons as a family. All of this isn’t something you can just drift into. It has to be a choice. You have to sign your life away on the dotted line and buy into that decision. No backing out. You might even have to put your life on the line either figuratively or literally. There can be no turning back. That is, if you’re wanting to be a maestro! Well, personally, I’ve decided that I’ll never be a maestro violinist and am best putting my time and energy into my writing and photography. Yet, at the same time, I’d like to take the violin as far as I can. Do my best. I recently started learning my favourite of all favourite violin pieces: Meditation by Massinet. This is actually about a 6th Grade piece and I’m around 2nd Grade but we’re taking it slowly. Some of the notes have so many ledger lines that they look like quadruple-decker buses. I know what the notes meant to sound like and use my ears instead of my eyes to find my way around. I guess it’s the equivalent to “park by feel”…another of my specialties. Anyway, we’ll be playing Pirates of the Caribbean for the concert. This has some really fast sections I wish I could give my fingers something like Red Bull to get them moving without affecting the rest of my body. I find it hard to move my fingers quickly but given my assorted medical problems, I know I’m lucky to be playing at all. Indeed, my neurologist was amazed. We’ll also be playing Eine Kleine Nachtmusik, which is so pretty. My violin teacher has actually doctored my bow to help keep my fingers in place. It was an inspired idea. I have no shame using a walking stick on public transports and crowds so why not use a prop to help my fingers do their job?!! Miss cuddling her new violin in 2011 aged 5. By the way, you might recall that I initially took up the violin to help our daughter. That learning the violin was all her idea. I’d suggested piano but she stood her ground in typical fashion and really seemed to have a thing for it. I do believe that everybody has their own soul song and needs to find the best way of channeling and expressing it. That there’s no one instrument fits all. The violin supposedly sounds the most like the human voice and Miss and I both sing so it’s not surprising that we would love it. Anyway, Miss’s affair with the violin reached a tumultuous end when the cat screeching became way too much and the less she practiced, the worse it got and I finished off the term’s lessons and kept going while she went “on sabbatical”. While I never gave up and didn’t sell her violin, even I with my over-inflated sense of optimism, was close to calling it quits. Besides, she’s doing dancing, singing, drama, cub scouts. She also needs some spare time, especially as she’ll be traveling to school next year. However, today miracle of miracles, she announced that she’s wanting to start learning again.Well, that might have been more of a mention than a “tell the entire world on your blog Mummy” kind of broadcast. But, she did say it. A few weeks ago we attended an orrientation day for her new school, During the talk, they mentioned that they have a string ensemble. Again, this was more of a mention than a grand announcement but to me it was more like a “sign”…just like a heaven-sent bolt of lightening, the place suddenly lit up! They could have had a band or cheer-leader program but no! They have a violin ensemble! I know that playing in my ensemble has really supported and encouraged my playing and got me through those periods of struggle or doubt. This was meant to be, even if Miss didn’t know it yet. Then, today…miracles or miracles, she said she wanted to learn the violin again. I was hopeful because I knew how much she loved the violin at the start. It had been her choice and I always hoped that one day, she’d find her way back. I was quite surprised when my mum ordered me a violin cake for my birthday in 2012. It was something of a premonition! Good on you Mum! I still haven’t taken her violin out of the cupboard. Feigned indifference is definitely the way forward here. Treat em mean, keep em keep. Anyway, yet again I’ve written about playing the violin instead of practicing and it’s now too late. Writing about playing the violin and also taking photos…they’re my strength! Wish me luck for Sunday but please don’t mention anything like “break a leg”. I actually broke my foot at last year’s Christmas Carol performance and that had better be a one off…no repeats! This entry was posted in music, Personal Development, Uncategorized, Violin and tagged cello, concert, education, music, music teacher, orchestra, parenting, school, strings, teacher, violin on December 3, 2015 by Rowena. Australia During WWII…What I learned from My Son’s Homework. For the last couple of weeks, we’ve been very preoccupied with my son’s project on an Australian Prime Minister, which I suspect feeds into his upcoming Canberra Excursion. The Canberra Excursion is a virtual rite of passage for Australian school kids close enough to get there. In case you’re not aware, Canberra is Australia’s capital and where we herd our Federal politicians. When we discussed who he should choose, I suggested Prime Minister John Curtin.I am a Curtin and all my life, people have asked me whether I’m related to John Curtin. Indeed, it only dawned on me recently that all those questions had stopped. These days, I usually go by my married name. Well, as it turned out, we are related to John Curtin , just not Prime Minister John Curtin. Ous was an Irish sailor from City of Cork, County Cook who worked his way to Australia as ship’s crew.Last year, we had a family dinner honouring that John Curtin and while that wasn’t this John Curtin, at least there was a link for me. Prime Minster John Curtin served Australia during those horrific years of World War II where a Japanese invasion looked imminent and the Germans weren’t far away either.Just to put you in the picture, he came into office on the 7th October, 1941, only six weeks before the Japanese attacked Pearl Harbor, launching The Pacific War. The stress of the war had a huge toll on Curtin’s health and he ultimately died in office on 5th July, 1945, only a few months before the Pacific War ended. So, you’d have to say that his time in office was one enormous stress pill and I am really struck by the huge personal sacrifice he made, in effect, dying for our country! While acknowledging it’s horrors, it is a fascinating period of history, especially when you look at it through a contemporary perspective, not hindsight. After all, life is lived going forward and there’s no crystal ball to see into the future. No one knew in 1942 how the war would turn out. Who would win. It is all too easy to forget that now. I personally find it interesting to see how people react under such stress, what they were thinking and how they get through. These are important life lessons that we can carry forward and a critical reason for studying and really knowing our history. Anyway, as you can obviously sense my undisguised enthusiasm about to blow a gasket, this brings me to the awkward question of just how much a parent should be helping their kids with their homework and in particular, home projects. Should the kid be left to do it “all by myself” or is it okay or even a good idea for parents to “help”? As I’ve found out, the answer is not so clear cut. While I don’t believe a parent should be doing their child’s assignment in total, I do believe that being able to give them that one-on-one support at home, can really boost their learning experience, especially if they are having any troubles. Perhaps, a parent or grandparent has a bit more time to sit down and explain things one-on-one like a personal tutor and personalise that help, in a way that a teacher in charge of a class of students, can not.Having that older perspective, particularly if they’ve lived through that period in time, can also add insights and make history feel more real. It’s hard to have that sense of history when you’re 11 years old. Moreover, learning how to process information and put it together in a report is a challenging process. I did Honours in History at University so I am well equipped to help. Just don’t ask me to help him with his Maths. Thank goodness that’s his strength and he could no doubt help me. Yet, at the same time, there’s also that fine line between guiding and taking over. Of course, we’ve all heard parents talking about “our assignment”, “we scored” or even “I got an A in their last project”. There has to be be a middle ground but when “your pupil” is watching TV, playing computer games and looking like those lollies weren’t a good idea, it’s all to easy to just push them out of the way and “do it myself”…particularly when I’ve been avidly interested in this period of history since I was a 13 year old school girl reading The Diary of Anne Frank. Perseverance isn’t just something for kids. It’s also for grown-ups.Sometimes, it takes a lot to stand back and let our kids do it themselves. Sink or swim. Yet, even if we have to tie ourselves to the chair just as much as we long to do the same to our kid, it has to be done!. However, does that mean we should stop our own learning experience? After all, these school projects can be fascinating once you’re mature-aged. I know myself how I’ve become embroiled in the John Curtin Project and have taken off like a hound chasing the fox through the undergrowth. If only I’d studied like that with the research skills I have now, I’d be a complete genius. That doesn’t entitle me to do my son’s project for him. Thank goodness for my blog because I’ve been able to do my own project, which I’m still working on. Moreover, through working through John Curtin’s term as Prime Minister on my own, I also realised that I wanted him to learn some valuable stuff, which wasn’t directly part of his project. I wanted him to gain some understanding of the socio-political context of the Prime Minister he was studying and not just parrot off dates or cut and paste stuff from the Internet. I wanted John Curtin to go through those two eyes, two ears and pass through his brain and fire off a few neurones on the way. That’s what I call learning. Getting an education. I didn’t grasp that when I was 11 either but we adults all live in hope that somehow we can improve the next generation in areas where we fell short. Mister has been away at a Scout camp all weekend and while the project is almost finished, it’s now down to the final countdown and really making sure that he’s answered the question and nailed it. Thank goodness, he’s had a nap and recovered somewhat as the hard yards lie ahead and I’m not sure who is going to struggle most…him or me. How have you gone with the kids’ projects? Or, if you’re a teacher or educator, any advice? This entry was posted in Australia and tagged Australia, Canberra, education, history, John Curtin, Pacific War, parenting, Pearl Harbor, Prime Minister John Curtin, school, teacher, teaching, war, WWII on October 25, 2015 by Rowena. Teachers Beware: Maths Geek Alert! 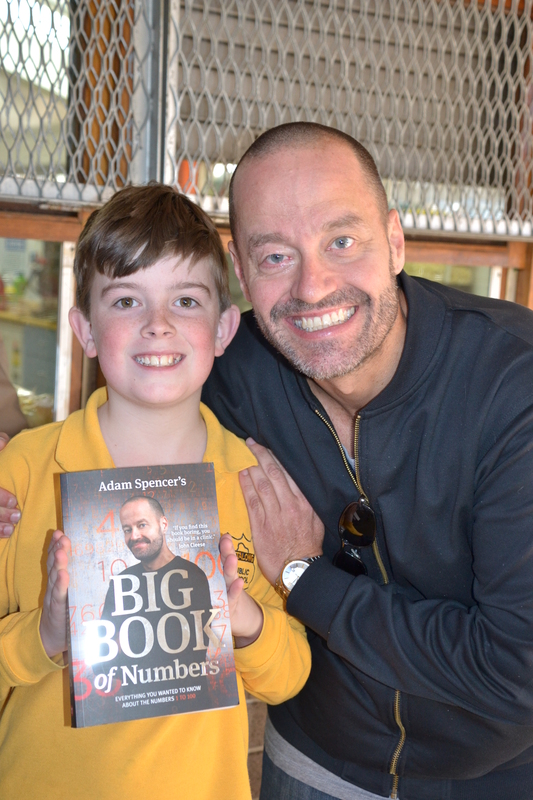 Much to my relief, it turned out that it wasn’t me who had to watch out for our son armed with Adam Spencer’s: Big Book of Numbers. Nothing gives a kid more joy than finding out something, anything their teacher doesn’t know… no matter how remote, obscure or incredibly difficult it might be!! Anyway, in a scene reminiscent of a scene snatched straight out of an Andy Griffith’s book (see notes), my son lifted an equation from the Big Book of Numbers and approached his teacher. 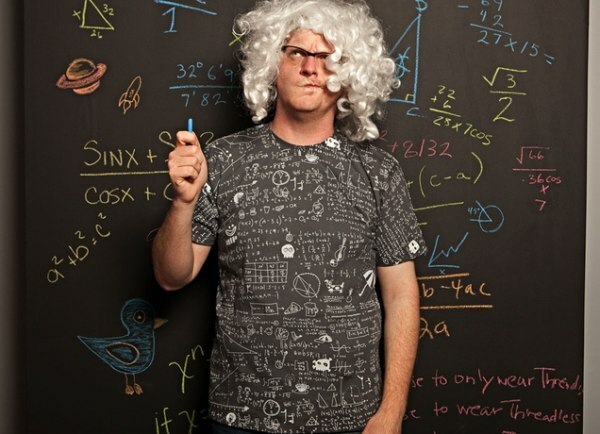 Maths Geek let loose in the classroom in the days before whiteboards. Unfortunately for her, her didn’t ask her about how you cut a pizza in 29 pieces with only 7 cuts. He’d used that one up on Adam’s visit at the school (see previous post: https://beyondtheflow.wordpress.com/2015/08/05/the-journey-of-a-thousand-books-sets-sail/). Instead, referring to Sierpinski numbers, he asked her: 78,557 x 2 11 + 1=? When she, not unsurprisingly, didn’t know that off the top of her head, he asked another teacher. Boy was he excited! That was almost better than winning Lotto! By the way, in case you like to know the answers to such equations, the answer is in the book: 160,884,731. By the way, Spencer also let’s you know that this is also 12,275,749 x 13. I feel like sending his teachers a sympathy (or is that an empathy) card. Meanwhile, his friend challenged him to work out 2 to the power of 50 and he was beavering away at that challenge in an exercise book when I ran into him at lunchtime at school. I can’t tell you how relieved I am that the school is bearing the brunt of this Book of Numbers juggernaut. After all, I am still struggling to master 10 digit arithmetic! That said, I have gone a few rounds of chess with him this week. He is finding playing against Mummy quite a “different” experience. His father has taught him a few strategic manoeuvres, which we’ve both half-forgotten. So, what with me being more creative than logical, our chess games, you could say, get a bit off track. It’s a case of Rafferty’s Rules with “chase the horse”, “waltzing with the king” and a full theatrical performance. After long grueling matches, we’ve even had a stalemate, when we each were somehow left with just our kings. However, usually these long extended clashes eventually wind up with the king cornered and then I guess it’s “off with his head”. So for my next conundrum, why haven’t either of my kids approached me with question related to the thesaurus? Probably because I’d be on my own turf there and actually know what I am doing! Andy Griffiths & I photographed at the Sydney Writer’s Festival in 2012. 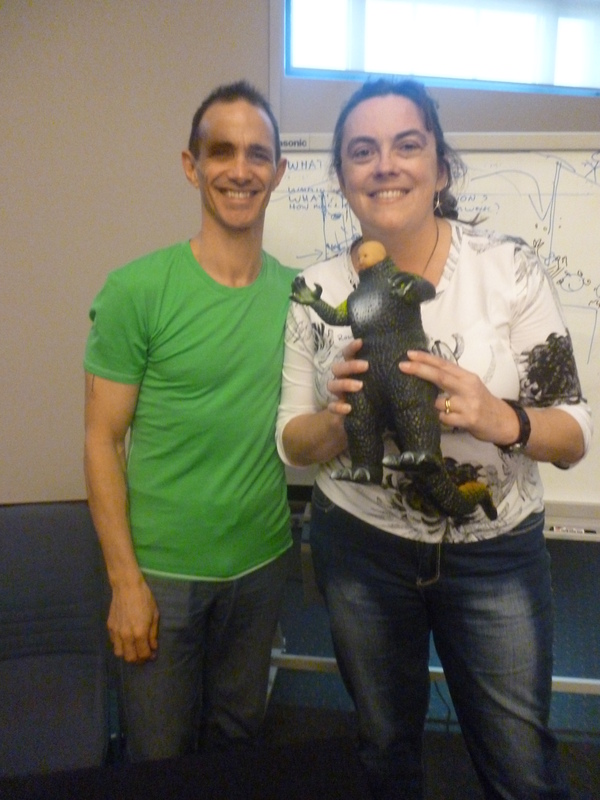 I did an amazing writer’s workshop with him. This entry was posted in Author Talks, Parenting and tagged Adam Spencer, Big Book of Numbers, chess, education, geek, kids, maths, numbers, parenting, school, teacher, teaching on August 6, 2015 by Rowena. a tender shoot reaching for the sun. that was in my dreams. and even blue skies burn. you would have to stand alone. but you’re no longer a sapling. or how to get them back. 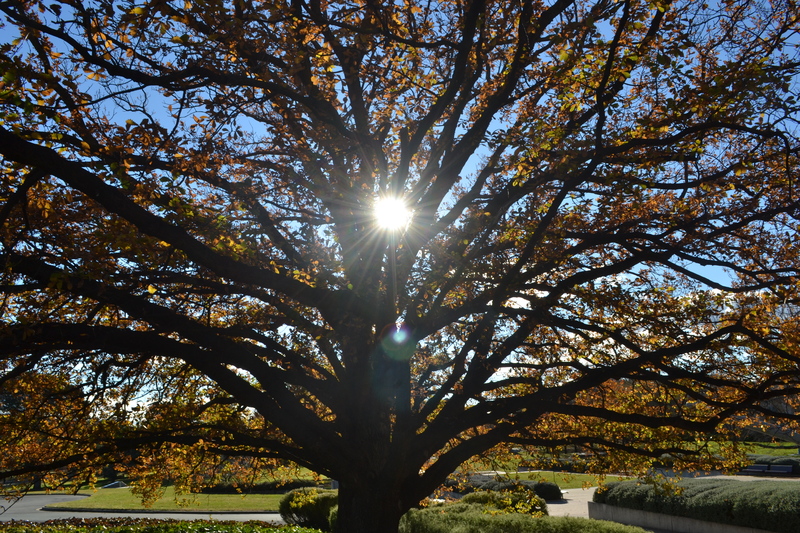 Oak Tree, Australian War Memorial, Canberra. providing homes to the multitudes. carrying bulging loads with great intent. oozing with life and love. the end of this road. 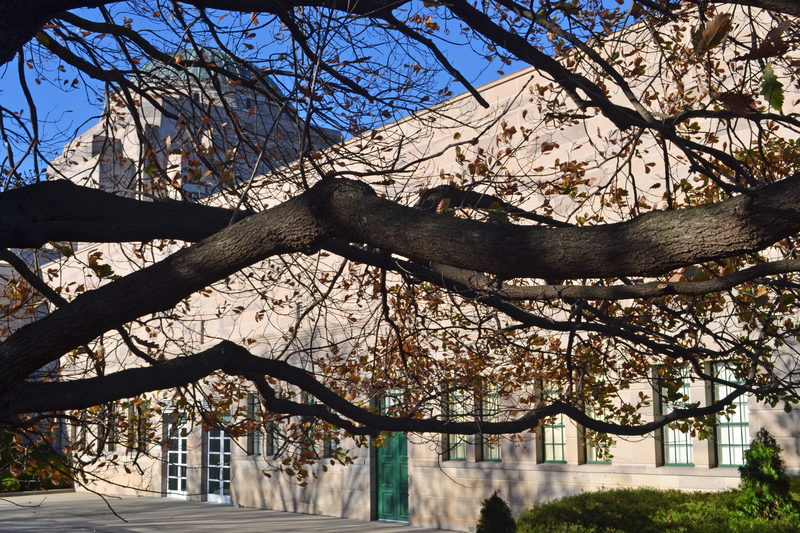 for the acorns to grow. On 17th December, 2009 I wrote the very first version of this poem. It was the day after our son finished his first year at school and he was still only 5 years old. I had been struck by how far he had come in that year. When he arrived, all he could do was scrawl his name in the corner of a big, blank sheet of paper but by the end of that year, he was writing tentative sentences and was reading quite well, even if sitting still and concentration weren’t his thing. I have reworked the poem many times since then and have even extensively reworked it today. 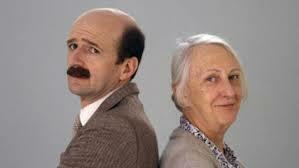 Mother & Son played by actors Ruth Cracknell & Garry McDonald. The relationship between mother and son weaves its way throughout the poem, which reminds of of a favourite show: Mother & Son, staring Ruth Cracknell and Garry McDonald. I don’t kno whether you’d describe it as a comedy or a tragedy but Mum in the story has dementia and Garry McDonald plays her middle-aged divorced son who is still living with Mum but probably not by choice. Time has certainly flown past. 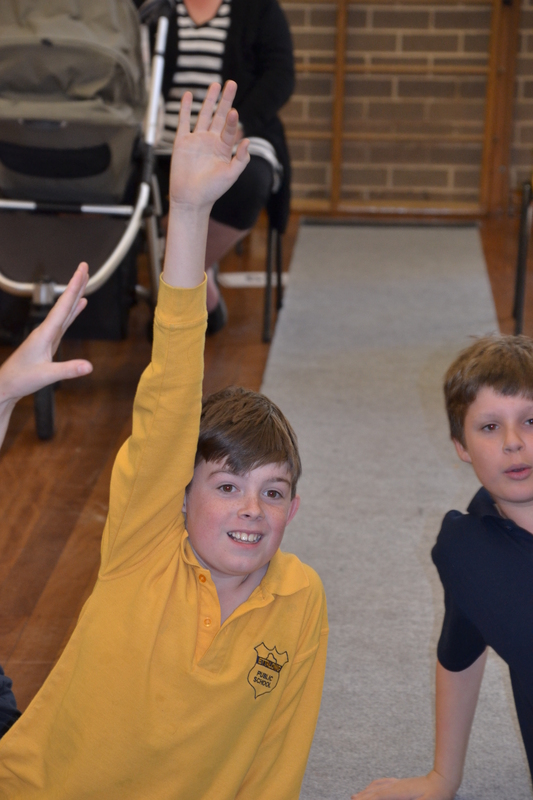 He is now 11 years old and is in Year 6…his last year at Primary School. Next year, he’ll be passing through a different gate when he goes off to High School. His journey hasn’t progressed as smoothly as the fairly idealistic path depicted in the poem and life hasn’t been smooth sailing but he is finding real maturity now and growing up inside as well as in terms of height. We are very proud of him!! This poem remains a work in progress and I wonder if it will ever be finished. However, I wanted to share it with you. Moreover, today is 1st April and the beginning of the Blogging From A-Z Challenge which takes place in April each year. This is the first time I’ve participated and I’m a little bit daunted about tackling the technical side of it all but sometimes, you just have to hurl yourself straight off a cliff and keep running!! 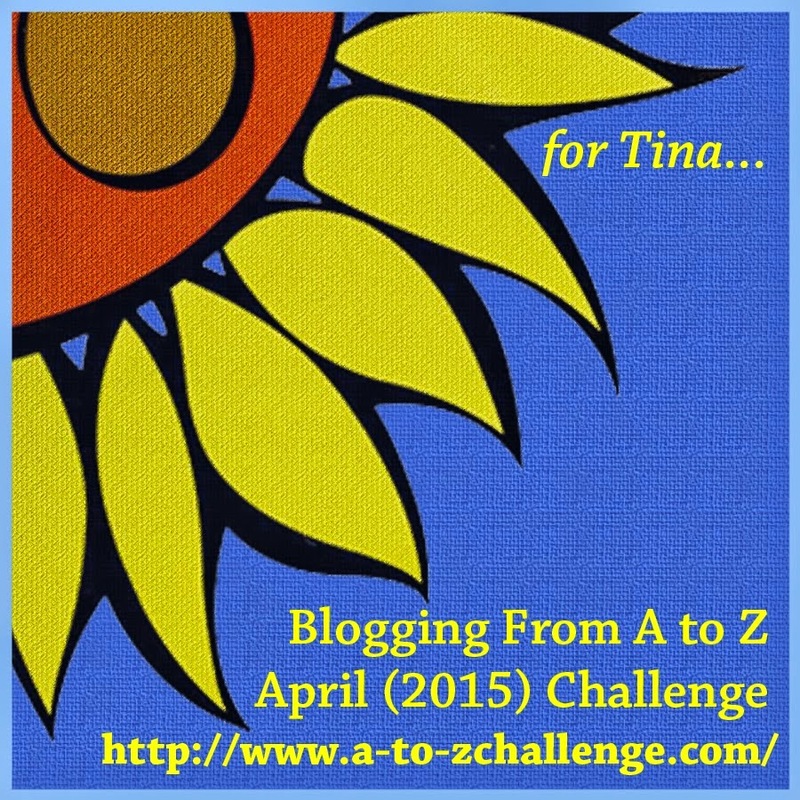 I am participating in the A-Z Challenge. This entry was posted in Love, Parenting, Personal Development, Poetry and tagged acorn, alzheimers, anxiety, Australia, Australian, autumn, autumn leaves, birth, blogging, Change, children, clife cycle, climbing trees, community, death, education, environment, gardening, Garry McDonald, growing old, growing up, growth, kindergarten, leaving school, life cycle, lifestyle, men, mom, Mommy, mother & son, mother and son, mum, Mummy, oak tree, parenting, philopsohy, poetry, psychology, Ruth Cracknell, school, seeds, soil, starting school, teacher, teaching, the seasons, trees on April 1, 2015 by Rowena. Writing Class: as bald as a Blobfish! As a compulsively addicted, forever-at-it, passionate writer, I’ve been trying to find sneaky, subtle ways of encouraging my kids’ with their writing without getting sprung. As any parent will agree, as soon as you show more than observational interest in any of your child’s activities, it puts on the kibosh on them. You are the kiss of death and the worst thing any outsider could possibly ever say to your child, no matter how well intentioned their motivational efforts might be, is: “You’re just like your Mum/Dad” or even worse still “Ah! A chip off the old block! !” When I was a kid, those sort of comments were “stick-your-finger-down-your-throat-type” revolting and a instant death knoll to any kind of interest. RIP! At the same time, I still want to do some writing with them and somehow pass on something of my box of magic tricks…even if it’s only enough to enable them to be competent writers and express themselves enough to cover school requirements. That in itself is a challenge anyway. That said, if they were to show any interest at all in writing well…Yes, I’d still probably have to keep myself in check because, as I said, a bit too much parental encouragement can be a very damaging thing. We all need to wait for the butterfly to make it’s own way out of the chrysalis or it will never be able to fly. Reading their eclectic writing efforts, I definitely felt I could help them but the real trick was HOW. I didn’t want to go on the rampage with the notorious red pen and turn them off writing for life but at the same time, I appreciated that I know a few tips or short cuts. I mean as much as I agree with Lennon’s quote, sometimes you you just want to cut to the chase and get to your destination without any hassles or impediments. There’s a lot to be said for taking the easy way out or what’s known as “The K.I.S.S. Principle”: Keep It Simple, Stupid! I don’t know if you remember back to your primary school compositions or creative writing exercises but my Mum taught me how to spell enthusiastic when I was 11 and I soon found that when enthusiastic ended up in my compositions, there was that illustrious red tick and a VG (very good) in the margin and I was smiling like the proverbial Cheshire Cat. While too many big words wasn’t the way to go, judicious use definitely paid off. By the way, my Mum also gave me a Roget’s Thesaurus at the time and I soaked that up like a sponge. As you can see, I was a bit of a writing nerd even then. To make matters worse, I was also accused of reading the dictionary in high school but I still deny it. As I said, I’ve been fumbling around trying to find some simple things I could do with the kids to nurture their writing and help them get ahead. Then, last week, I attended a meet and greet at the school and walked away with a very simple sheet about how to build a super sentence, which was fabulous. This also included working on similies, which can be a little tricky at first. Yesterday, Bilbo had a haircut. “While most people receive scrumptious chocolates and stunning red roses for Valentine’s Day, Bilbo, our woolly Border Collie, received a free haircut and is now almost as bald as badger”. I wrote most of this as an example. So my ever-inquisitive daughter asks what a badger looks like and we jump straight to Google Images and she promptly tells me that a badger isn’t bald and is actually rather furry. Of course, this launches a new line of inquiry which has absolutely nothing to do with writing super sentences and I’m starting to suspect that my daughter’s taking me on another one of her circuitous goat’s trails. Yet, who ever said you had to stick to the narrow path to gain an education? It turned out that the expression “as bald as a badger” comes from Victorian times when the original expression was: “as bald as a badger’s backside”. Badger’s hair was used to make men’s shaving brushes. Brush makers would trap badgers and take the hair from their derrieres and then set them free. Eventually the hair grew back however it wasn’t uncommon in England’s Victorian past to see badgers with bald backsides. Quite an interesting bit of trivia really! “as bald as a blobfish”. At that point, my ire was raised and I was getting really stroppy…especially after trying to build a super sentence out of: “I am awesome”. Just when steam was starting stream out of both ears and I was definitely losing my cool, she looks up Blobfish on Google Images. My goodness!! It actually exists and it is as bald as a badger. While you can research the Blobfish yourself if you’re interested, it’s main claim to fame is being awarded the title: World’s Ugliest Animal in 2013. While it certainly looks odd, I wouldn’t call it ugly. It’s a bald, blobby, gelatinous thing which actually looks kind of cute in an alternative, dare I say “different” kind of way. It could even look a bit contemplative or spiritual. That said, it also reminds me of a lot of blokes you see walking around with bald heads. 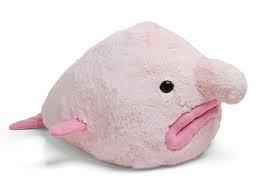 Yes, while the rest of the world might despise the Blobfish and think it’s ugly, we love it. Cherish it. Indeed, I am in the process of ordering a toy version for my daughter’s birthday. After that priceless conversation, we had to had to immortalise the moment! I just haven’t quite worked out where to store the moment because it is on the large side and her room is already bursting at the seams. After processing all of that, “bald as a blobfish” is starting to appeal and dare I say that it even exceeds all my wildest creative dreams for my child. Why should she settle for a comparison which no longer makes sense when our dog could be as “bald as a blobfish” instead? It seems that my wish has been granted after all and I’ll take the blobfish over a badger any day!! And that has made all the difference”. Have you ever been caught by a blobfish? I’d love to hear your tales!! This entry was posted in Australia, Humour, Parenting, Uncategorized, Writing and tagged alternative, Bald, bald as a badger, baldness, beauty, blobfish, creative writing, creativity, English, grammar, how to write, John Lennon, kids, learning, learning to write, parenting, Robert Frost, school, similies, teacher, teaching, the road not taken, thesaurus, ugliness, writing on February 16, 2015 by Rowena.